The Accidental Chef: Build Your Own Burger Night!! Build Your Own Burger Night!! On Saturday, we had a Build-Your-Own-Burger Night... (BYOB)... It was great!! Everyone got to make their own version of their ideal burger... From the traditional cheeseburger to a salad burger. Romy made a Burger Salad with Sauteed Onions, Mushrooms and Blue Cheese with Mixed Greens. Sammy made the Ultimate Tripple Decker... Beef, a Fried Egg, and Crumbled Goat Cheese. I opted for a Greek Burger. Sauteed Spinach and Crumbled Feta Cheese. It was delicious!!! No Burger night is complete without some fries... 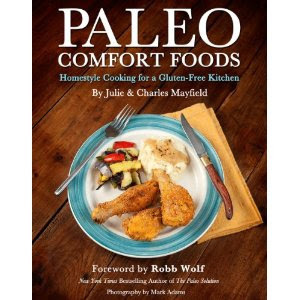 I pulled a Sweet Potato Wedges recipe out of my new cook book Make it Paleo ... This was definitely a side dish that everyone can enjoy regardless of their eating preferences. I highly recommend BYOB Night as an alternative to ordering out... Everyone was in the kitchen and we made a rainy night into a burger night! Post pictures of your favorite "gourmet" burgers on my FB page!! !